The gritty Mitsubishi Lancer Evolution earned its stripes in the dirt and gravel of WRC competition. Since the mid '90s the car has been developed over 10 generations and honed to near perfection. The final iteration, the CZ4A Lancer Evolution X, is curious because that last gasp was a leap in the Evolution's evolution. The platform is bigger, the body is a clean-sheet design, and the X is the only Evo to be powered by an engine other than the 4G63T. Video of record TX2K pass 3:19 with time lapse, multiple passes, drone footage. 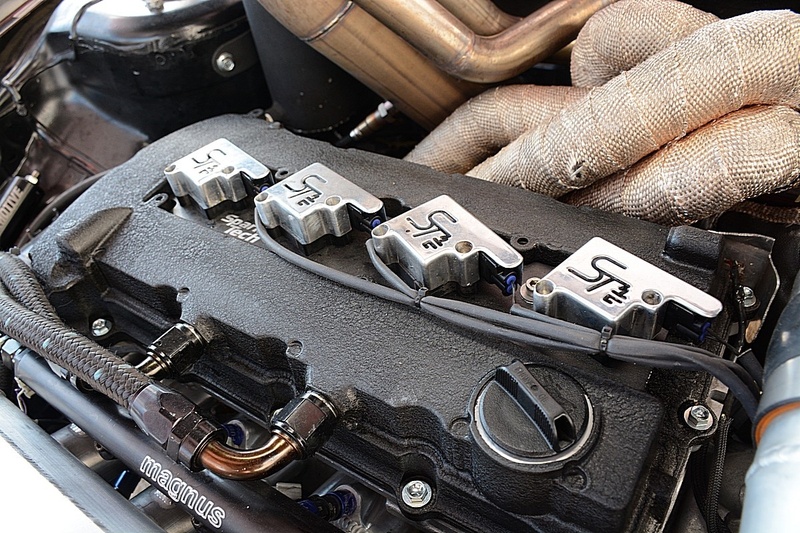 The outgoing 4G63T and its iron block aluminum head configuration was called the Baby Supra in the Evo VIII's heyday and the powerplant had just gotten Mitsubishi's MIVEC variable valve system in the one-year, 2006 Evo IX. The all-aluminum 4B11T was a point of contention when the Evo X debuted in 2008. Beyond the perceived fragility of the 4B11T's alloy block, its exhaust system was in back, facing the firewall, and the car's Super-Active Yaw Control driveline was under acute suspicion. 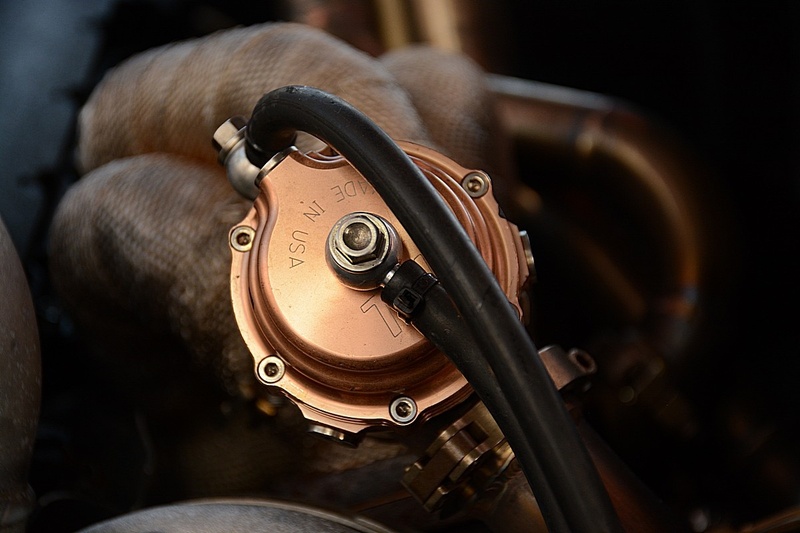 "Working closely with our engineer at Wiseco," says English Racing's Aaron O'Neal, "the Evo X is using a 10:1 compression, 88mm bore Wiseco piston. It has been armor plated and hard anodized in order to be able to withstand the 65 pounds of boost that we have thrown at it and the 1199 whp it made on the 8385 Gen 2 Precision turbo. While these are not strictly off the shelf, this technology offers a trickle-down effect since we prove what works and what doesn't with the functional designs being retained for further use and experiment." These challenges were welcomed with open arms by Extreme Turbo Systems (ETS) and English Racing, a one-two punch of Pacific Northwest import performance. 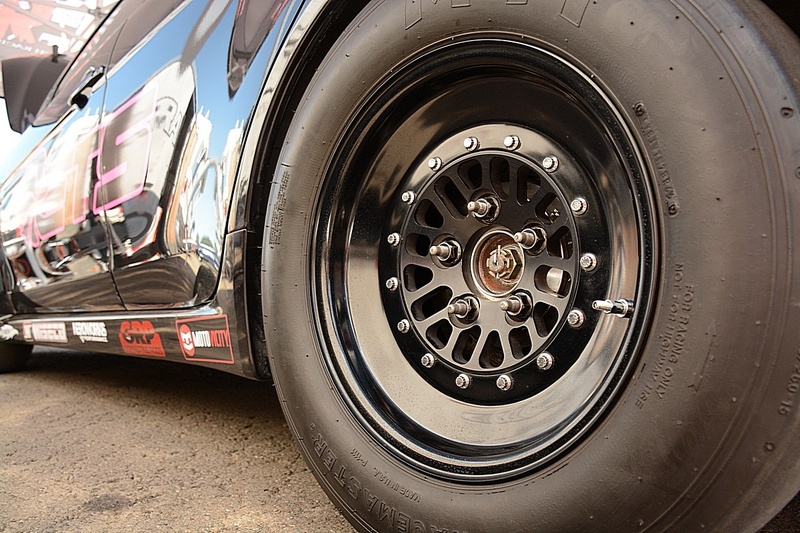 Hailing from the Vancouver, Washington area, ETS manufactures leading-edge performance parts and English Racing is one of the premier tuners in the region. The two companies have been teaming up for years so when the Evo X came out the duo went into action. In a familiar scenario, a parts development car started with basic bolt-ons and went crazy from there. In this case the madness rewrote the record books. Suffering through broken driveline gremlins, English Racing's Evo X became the first to break into the 9s in August of 2010, as the fully street-trimmed X dropped a 9.8-second pass at 155 mph on the world. The Evo was put on a diet—a serious diet—going from nearly 3,600 pounds to a svelte 2,500 pounds. The record book has taken a beating ever since. "The car has been the record holder for some time," says a prideful Lucas English, owner of English Racing and the car's driver. "We reset the record at 8.90 and the closest Evo X to us is at a 9:30. At the end of 2015 we went 8:50 and we pretty much ran 8.50s all the way through 2016. "Over the course of a decade of building high-boost, small-displacement motors we have found that a strutted piston skirt offers the best strength to weight ratio. While there was some switch to asymmetric skirts, the main design strength has been being strutted versus a full-circle design that will suffer from skirt collapse more easily. Using as close to a flat-top piston as possible was another facet of design that has been shown to work. This has found its way into almost all the motors we are building today, including the 4B11 in our Drag X." This year we just went 8.48 (@ 164.17 mph) at TX2K. We're running E98, 2,000cc Fuel Injector Clinic injectors, Motec plug n play M800 ECU, and Motec dash, power distribution module and key pad. There're not much Evo X electronics left in it. 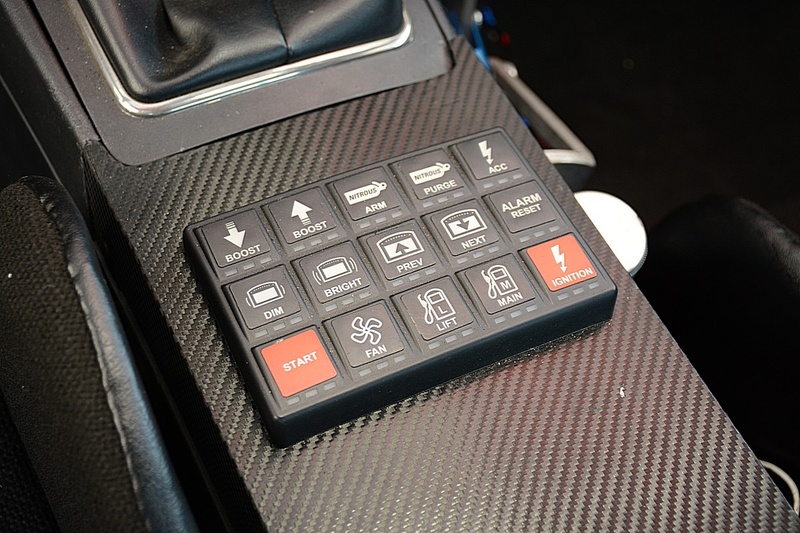 A Graf five-speed dog box, which is still shifts via an H-pattern, puts the power down. The car runs an Evo IX rear diff, a Shep-built Stage 3 transfer case, and one of our mechanical ACD diff controllers." A Gen 2 7285 Precision turbo feeds the 4B11T engine 60 pounds of boost..
"The record motor is an English Racing, steel-rod motor that we we've been testing. Steel-rod motors are not what you'd go with for drag racing. We are looking at the bearing wear. We took that motor out to inspect everything and now were back to an aluminum rod set-up because it's easier on bearings… takes the shock out of the reciprocating parts. Also, with an aluminum rod motor we're up over 100 horsepower and we have the potential to reset the record on any weekend. This combo has dynoed at more than 1,100 but it's dialed to 1,056 wheel horsepower. The test motor wore really well and we may end up with a steel motor back in the car again at some point." When quadruple-digit horsepower is required, a bevy of systems must work in perfect harmony or catastrophic meltdown is immanent. Drag racing exposes the weak links in a car and forces the savvy racer to fortify, adapt, and move forward. Lucas must look at fending off failure differently. He sees it as two separate concerns: the driveline and the engine. "I hate to call [imports] china dolls; there is no particular weak link. Pushing things like we are, anything can fail. I'd say the rear diff can be tough; been through a couple of those. Transfer cases can get hurt. Launching 1,000 horsepower is a big, stressful deal, especially with how important the 60-foot is to this car. Once you get down the track then it comes back to the engine. As of right now, the 4B11 with the Golden Eagle–sleeved block has been awesome, we don't have any head gasket issues. Like I said, we are seeing valvetrain issues over 9,700 rpm. At that point, we start warping the valves. We may also be at a fuel limitation which is contributing to the problems. Before looking into changing the stem of the valve, we may put the car on methanol so it will run cooler. If we still have the valve problem after that then we'll start re-inventing the wheel. Right now were running 60 psi of boost on E98, that's probably pushing the envelope on fuel. So we should be on methanol at this point. We also have a Motec M1 unit were planning to install and upgrade the injectors but just haven't set that up yet." Driver, Lucas English bangs gears to 8-second time slips via a Graf five-speed dog box, which still uses a conventional H pattern. At the recent Import FaceOff race at Woodburn Raceway in Oregon, the Mitsubishi posted an 8.98 at 163.13 mph and a trio of 9.0 runs, including a 9.01 at 164.05. The fast trap speeds backed up trackside observations of the car teetering front to rear coming off the line, killing 60-foot performance and its elapsed time, despite record-worthy top-end performance. The Evo tends to squat pretty hard at launch and Lucas played with the launch settings and adjusted tire pressure to no avail. It should be noted that the Evo dug hard at launch on its record 8.48-second pass but stabilized much more efficiently in Texas than it did at Woodburn. Once Lucas dials in the initial hit, the records will fall.This Black Mica Mitsubishi has a bright future.